There has been an increasing amount of speculation and conjecture recently amongst technology analysts who claim that despite Apple’s recent record-breaking earnings call the Cupertino company could be in long-term jeopardy due to its lack of recent innovation. That level of doom and gloom has largely been dismissed by the wider technology community but it has managed to plant the seed in our minds of what Apple could potentially be working on next. 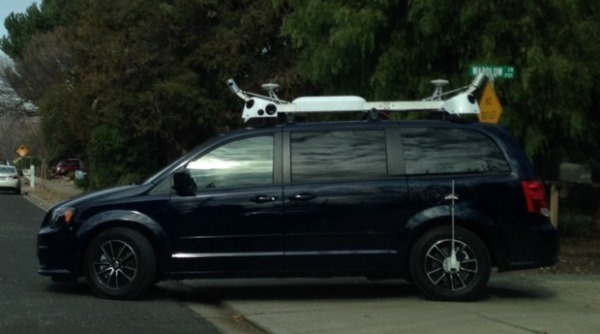 According to multiple reports, Tim Cook’s company could be looking at self-driving vehicles, a possibility that has gained some credibility thanks to a mysterious Dodge Caravan that has been spotted in and around the Bay Area. The mysterious black Dodge Caravan has been spotted on a number of occasions making trips around the streets of Concord, CA. 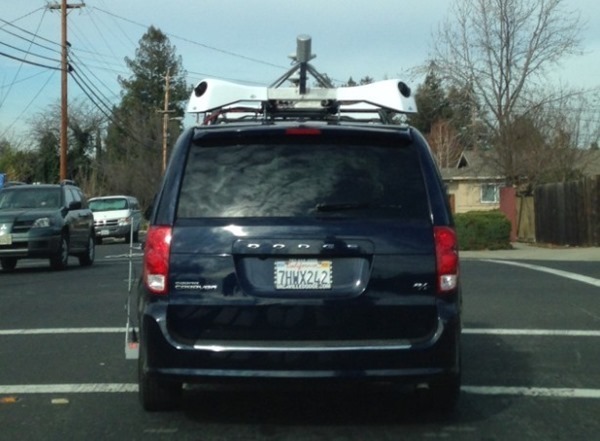 There’s nothing particularly strange about a Dodge vehicle roaming around the Bay Area, but in this particular instance the car has been retro-fitted with a custom and purpose built roof rack containing a number of cameras. 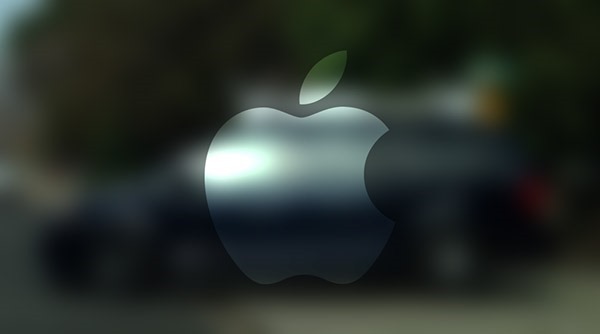 To add fuel to the already curiously burning embers, the vehicle has been traced back to being on lease to Apple. Too many cameras. It has cameras that are all angled down at all four corners of the vehicle. It’s worth noting that Apple is not one of the six licensed companies allowed to actually test driverless vehicles in public streets and highways. With that said, if Tim Cook has negotiated some sort of deal with a licensed partner it would negate the need for Apple to hold a permit directly. Curious indeed. there is a driver in that van and the article headline is a lie.